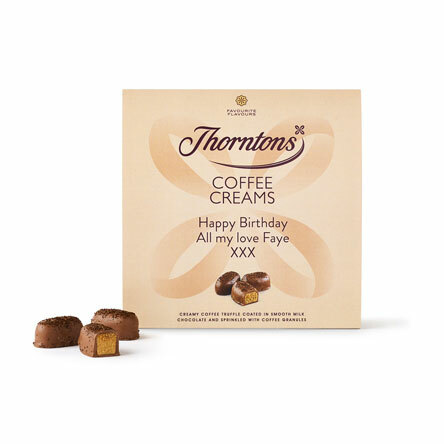 This Personalised Coffee Creams Box comes complete with your very own message. 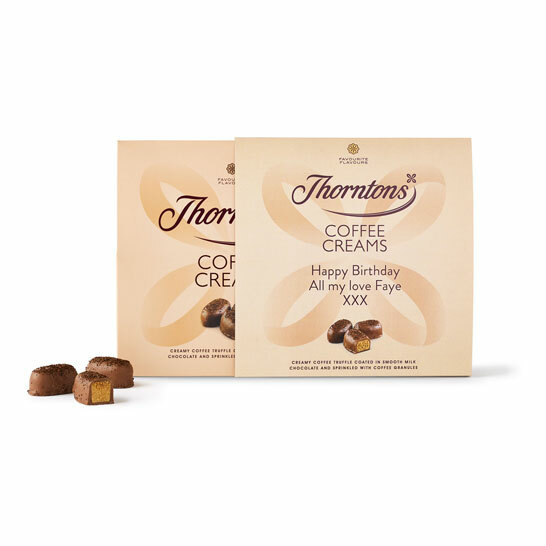 If you want to make the gift of Thorntons that little bit sweeter, try adding a personalised message. Whether you want a name or a short message, we’re happy to help.